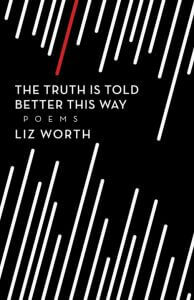 The Truth is Told Better This Way by Liz Worth is a book of piercing poetry that reads like a very intimate confession. Worth’s poems let out their mysteries slowly and deliberately, stringing readers along a path of loneliness and grief. At times violent, they crawl under the skin. Poems that echo Toronto’s streets remind readers of the grey, acrimonious side of the city. Themes of nature and divination and a sense of foreboding tie these poems together. This book is not Worth’s first foray into poetry, but it’s a beautiful and personal one, made for readers who want to be enchanted by dark, candid words.